Striker Kojo Obeng grabbed his second goal of the competition to help Hearts of Oak secure back to back wins in the GFA Special tournament. 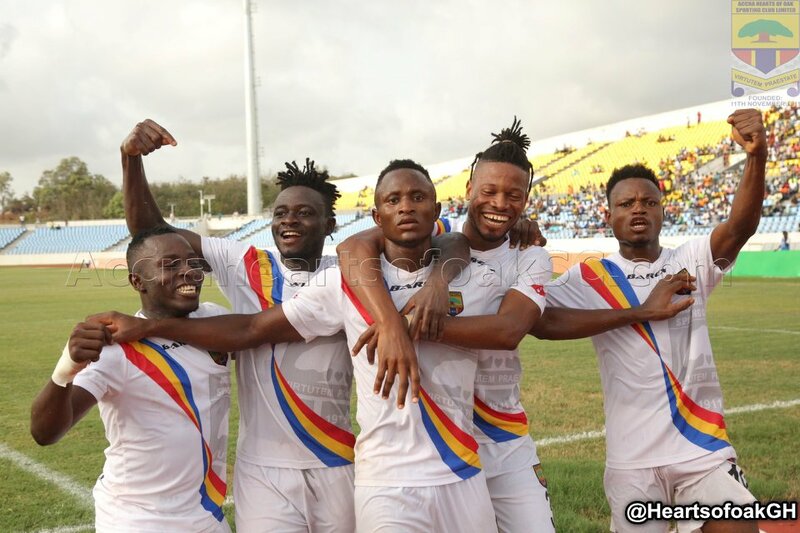 Hearts established their intentions in the game early, after a Fatau Mohammed goal-bound header was tipped off by Liberty's Togolese goalkeeper Fatao Alhassan in the 20th minute. The Phobians took charge off the game onwards but a brilliant team play failed to link up midfielder Fatau Mohammed as they lost possesion. Following the miss, the Scientific Soccer Lads forced a good save from Hearts goalkeeper Richmond Ayi, who denied the homeside the opener. Former Liberty Professionals defender William Dankyi tried an audacious effort with five minutes to end the half but his feeble effort was gathered by Fatao Alhassan. The Phobians won a corner kick moments later, and strong forward Kojo Obeng Jnr rose high to connect from the left as the Phobians head into the break with the advantage.